Talk about how a unique sounding band can really capture your attention. I was laying on the couch finishing one of the Weeds episodes I’ve been hooked on when this song came on and from that moment on I knew I had to write about these guys. 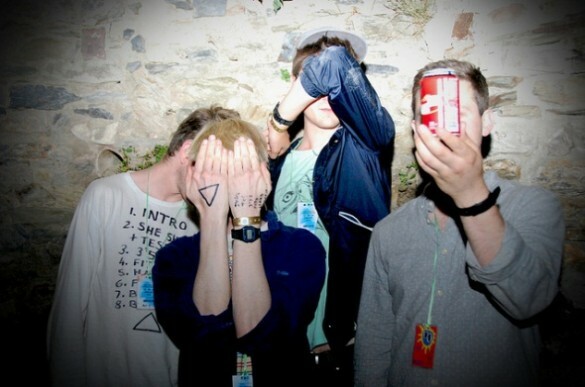 Alt-J (∆) are an English indie rock band that was formed in 2007. The band’s name is the symbol “∆” which is Alt-J shortcut on the Mac OSX keyboard (cough nerds cough). Fitzpleasure is the lead single from their debut album “An Awesome Wave” which was released on May 25th, 2012. It peaked at number thirteen on the UK Albums Chart, and also charted in Belgium, France, Netherlands and Switzerland. The video for Fitzpleasure is just as unique and weird (in a good way) as the sound of the band. It’s weird, creepy, catchy and I seriously can’t stop watching it. There are some disturbing scenes, but in all honesty I expected it and now that I got it, I love it.